This entry was posted in raspberries, tomato, vegetable garden and tagged raspberries, tomato, vegetable garden. Bookmark the permalink. I’m feeling the same way about apples right now but I eat them anyway. Can’t resist. Nice looking raspberries even if there is a glut of them. Oh, I wish I had the apples you do. We just went to the orchard today, but homegrown is the very best! You should plant a few semi-dwarf varieties that will thrive in Michigan. Here I have to plant trees adapted to Siberia so they’re not always very sweet. I do have a few semi-dwarf apples planted, but only one has borne apples so far. I’m sorely tempted to make another row in the orchard next year though. I’m buying a few new trees next year. A lot of mine were wiped out by voles a couple winters ago. I planted some grafting stock this past spring and want to try that also. That’s what just happened to my tomatoes. Didn’t bloom all summer, now I have way too many! Thank you Jackie! I hope some ripen for you. Good looking toms there Dan. What varieties did you grow? Bill. Sensational .. They all look so good Dan! What are you going to do with those raspberries? Looks good. We can’t really grow corn here but tomatoes and raspberries would be good. I’m currently dusting off my green tomato chutney recipe and wondering what to do with my Cape Gooseberries/Inca Berries/Ground Cherries – seeds worse than raspberries! 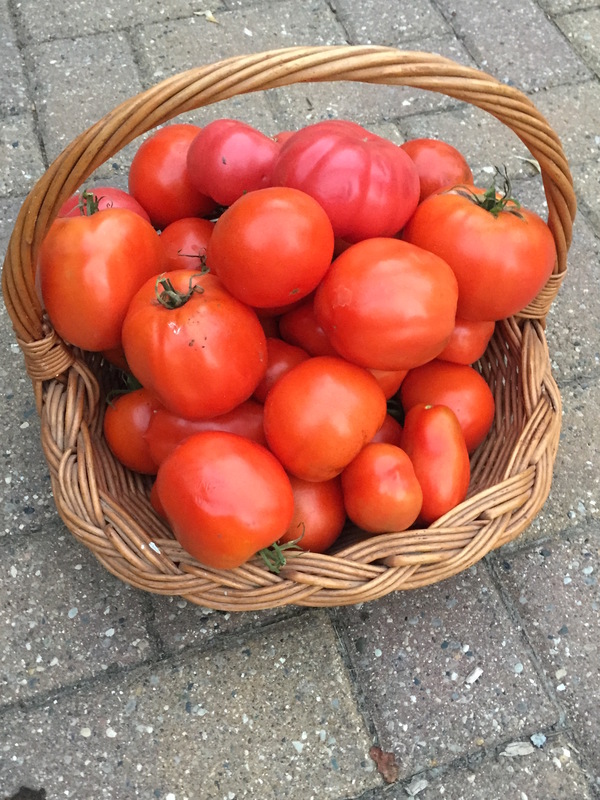 Nice tomatoes but how do you get raspberries this time of year? A special variety or special care? I’m ashamed to say I don’t remember the variety that I planted. This spring I pruned out the dead, grayish canes, thinned the remaining canes a bit, and pruned them to around 3 or 4′. In the past I’d always cut everything back to 6″. Not sure if that’s the secret, or if it’s just a good year for raspberries here. 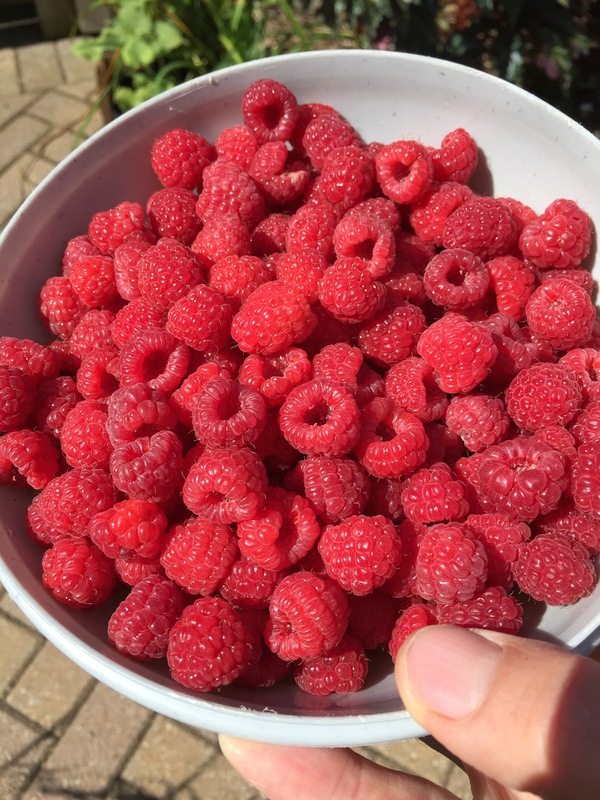 Our raspberries were almost finished by the start of August. We got a ton of them but I’ve never gotten a second fall crop. I usually just cut out the old canes then trim off the new ones so they’re not too long, maybe 5.5 to 6 feet at most. Wish I could 🙂 It seems like every year something different thrives or bombs. Part of the fun, I guess.